You provide the quality care to your patients. We do the rest to make sure you get paid. PMB uses the latest in technology to accelerate payments through electronic claims processing. We reduce the time and resources you spend on chasing payments so that you can stay focused on providing quality care to your patients. We deal with the insurance companies and healthcare coverage organizations to resolve all issues. We provide comprehensive, custom billing services that are structured to meet the needs and requirements of a practice that wants to accelerate payments, reduce their outstanding accounts receivables and recover lost income without having to perform the billing function themselves. You simply collect billing information at the time of visit, and forward it to PMB. We take care of the rest. It’s encouraged that billing information be forwarded as often as possible to maximize your cash flow. Transmit claims electronically to primary and secondary carriers daily. Generate and mail paper claims to primary and secondary carriers daily. 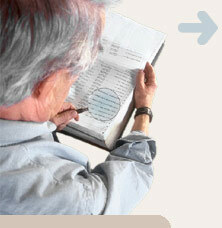 Generate and mail or email patient statements. Contact insurance carriers on outstanding claims. Resolve billing issues and problems with insurance records via phone follow-up, or internet enabled services. Process appeals to insurance carriers. Thorough recovery procedures can generate from 3-5% of net revenue that would ordinarily remain un-collectable. Post insurance and patient payments. We do not receive money, only payment records. We manage all patient and insurance inquiries via our Toll Free number. Access to your data is available 24/7, real-time through the internet. 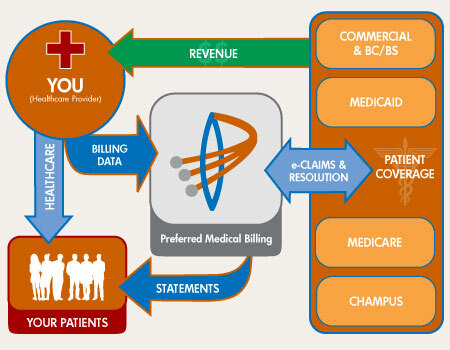 Billing services are customized to meet your needs. We can also provide best practice recommendations.